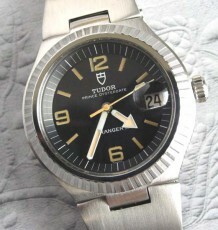 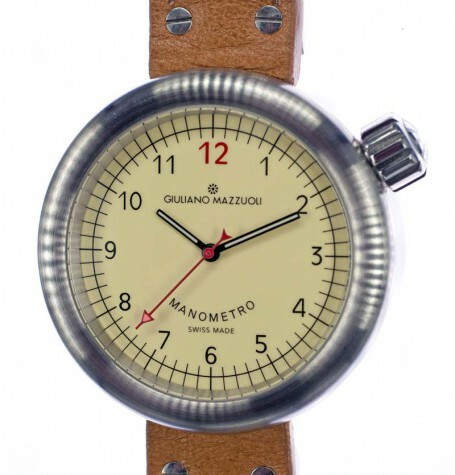 A most unusual wristwatch. 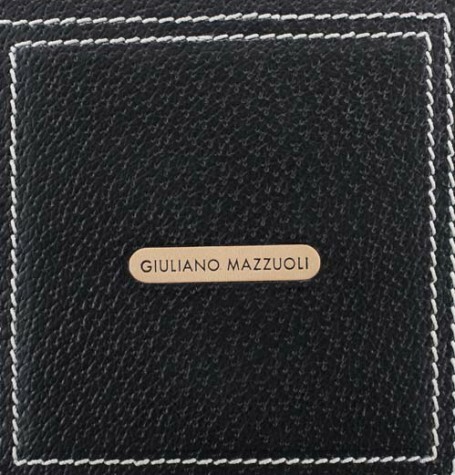 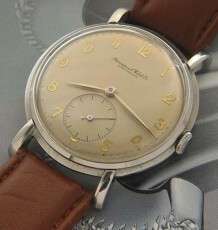 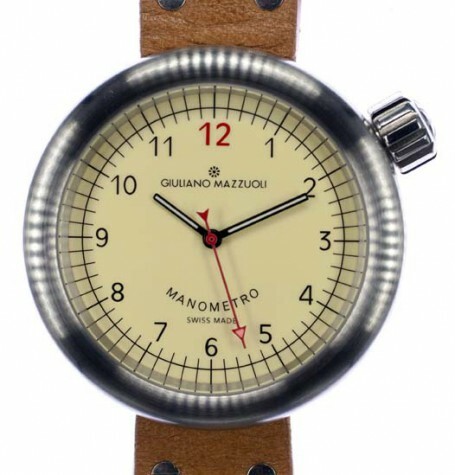 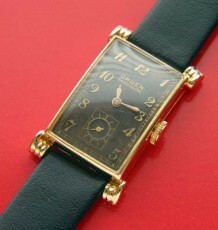 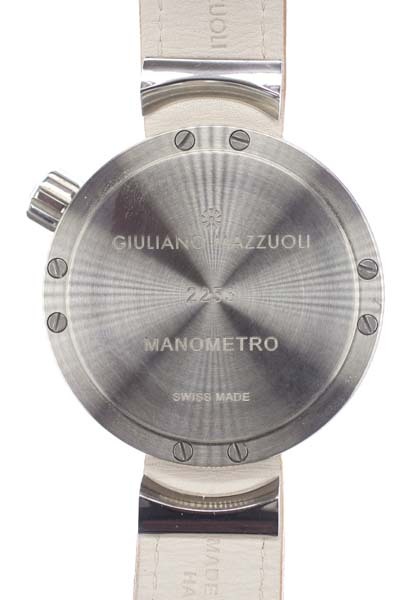 The Giuliano Mazzuoli Manometro was designed in Italy, however this now iconic wrist watch is Swiss Made. 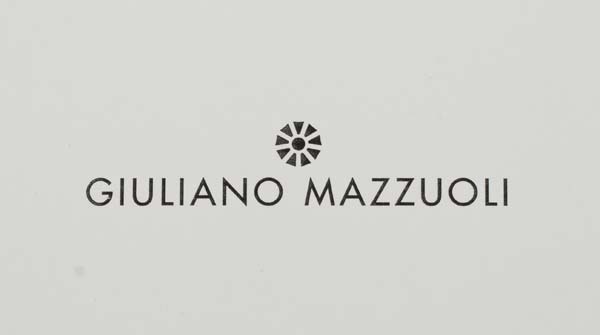 Giuliano Mazzuoli heads a design firm in Florence and also designs pens and a pocket watch. 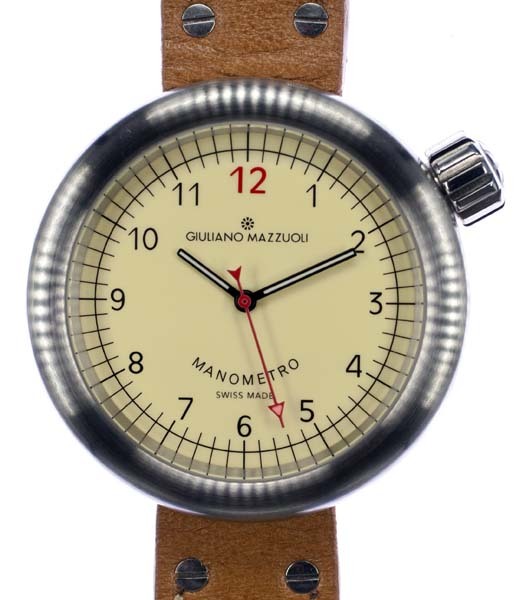 The inspiration for this distinctive timepiece was a simple tire pressure gauge. 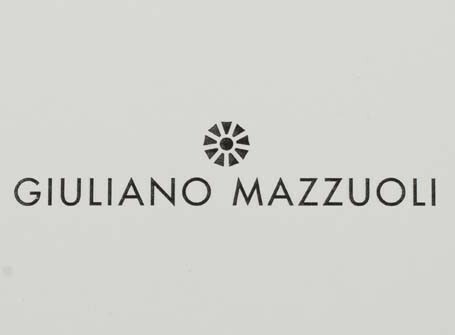 The sheer simplicity was was struck Mazzuoli and led him to introduce this model. 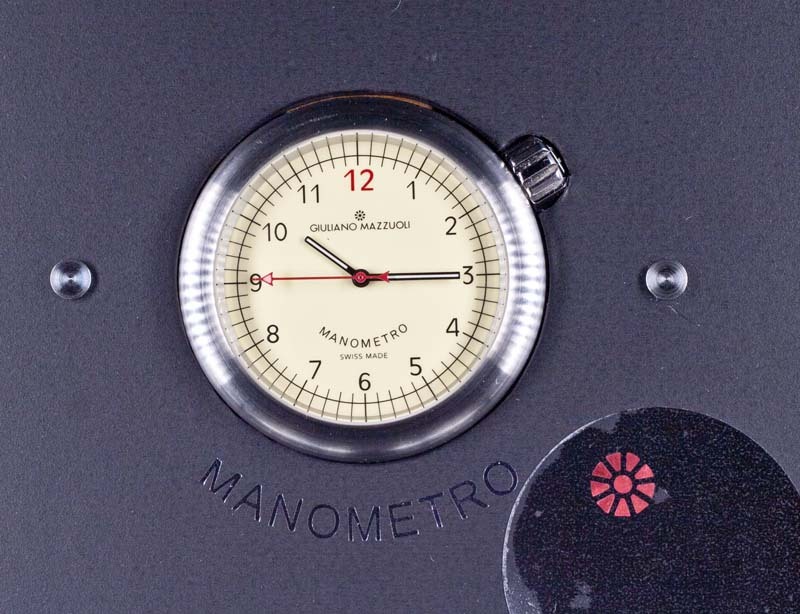 The case is crafted in brushed stainless steel and features an ivory dial with painted Arabic numerals. 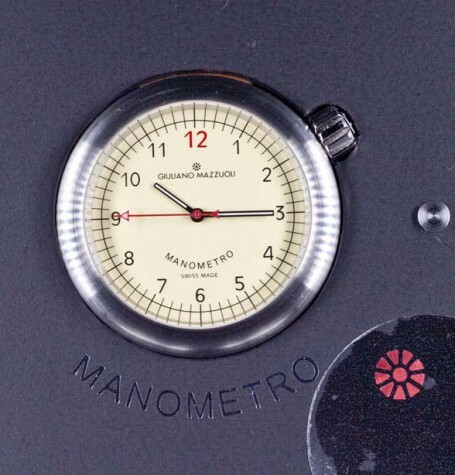 Other than the 12 which is red, the remaining markers are black. 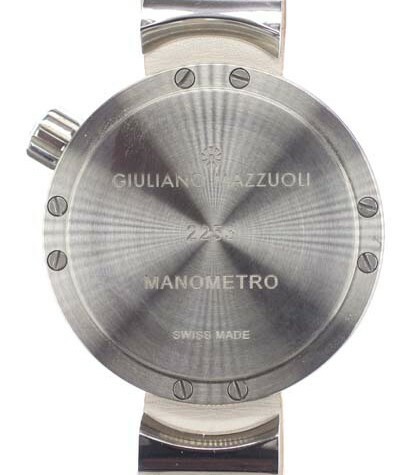 Although the Manometro was designed in Florence, Italy, the watch is constructed in Switzerland and features the highly regarded and ultra popular ETA automatic calibre 2824/2 finished with Côtes de Genève. 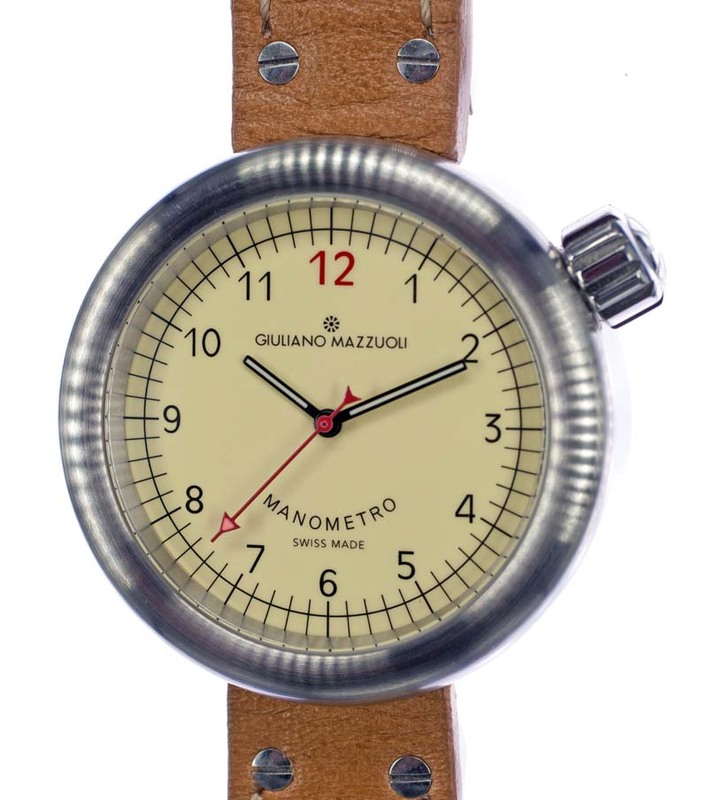 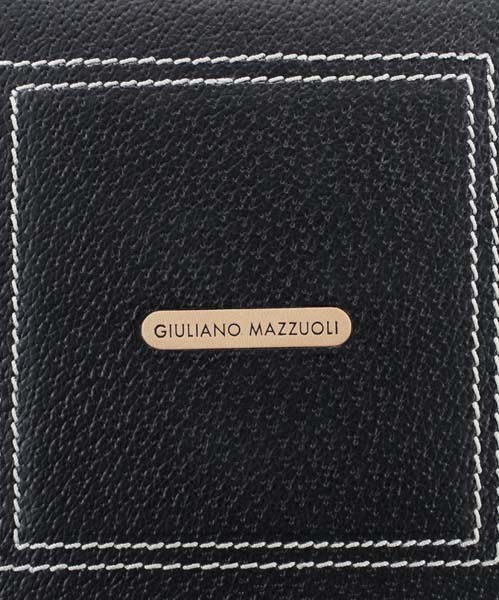 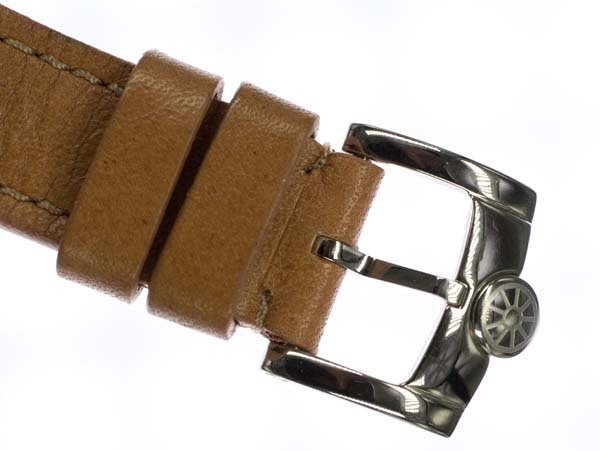 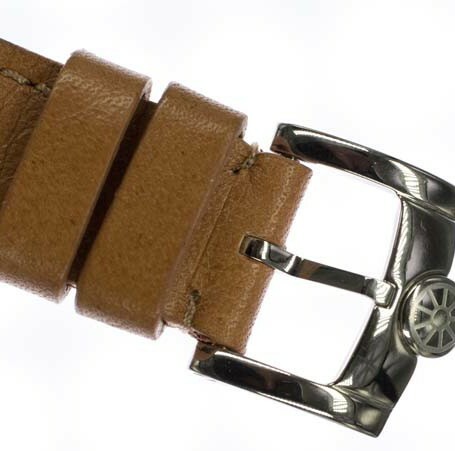 The watch is supplied with its original Tuscan-made tan leather strap and Mazzuoli branded buckle. 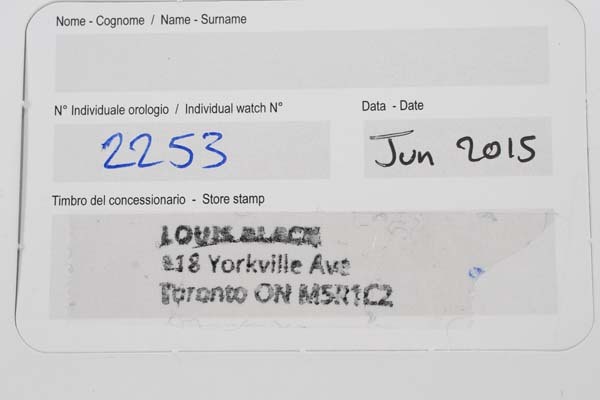 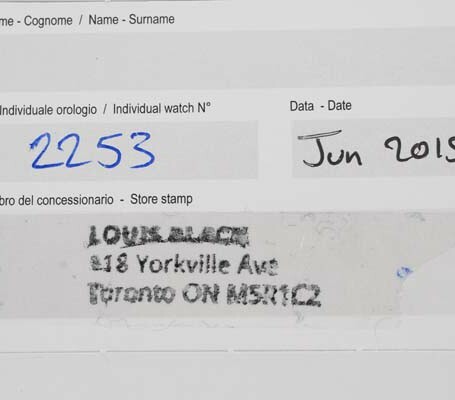 The original double boxes are also included with its stamped warranty dated June, 2015 from an authorized dealer here in Toronto. 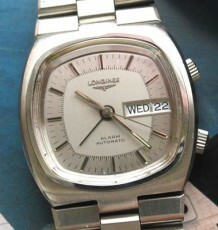 This watch is essentially unworn. 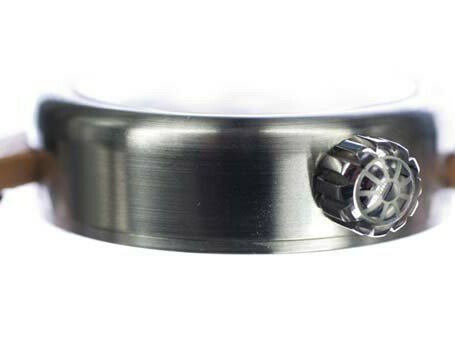 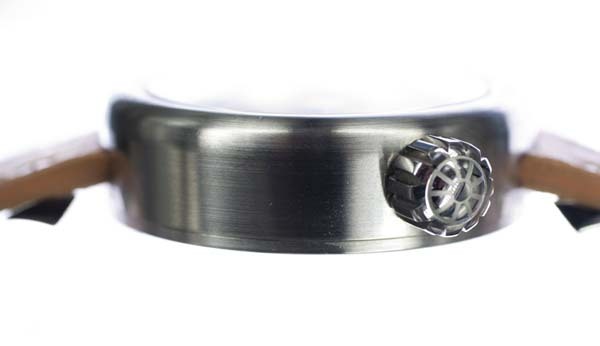 The MRB01N presents with a brushed steel cylindrical shape, measuring 45.2 mm around and 14.8 mm thick.